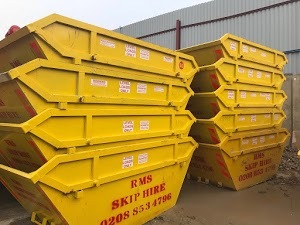 RMS Skip Hire is a leading Skip Hire and Waste Management firm in Bexleyheath. Our experience and passion for excellence make us the preferred choice of customers to hire top-notch skips and highly efficient waste management solutions in Bexleyheath. Our skip hire and waste management solutions are designed to meet the needs of residential, commercial, and industrial waste removal projects. We have an experienced team of skip hire and waste management professionals, who offer timely services to each client. Our experts are not only particular about delivering your skips at the right time, but they also go an extra mile by helping you choose the ideal solutions for your project. We are known for offering the fastest skip hire services, so even if you need the skips on the same day or the next day, we will deliver your equipment when needed. We also arrange Skip Hire permits for clients that cannot place their skips on their job site because of space constraints. Generally, it takes a couple of days to arrange Skip Hire permits, so as a customer, you can save that time by relying on us.